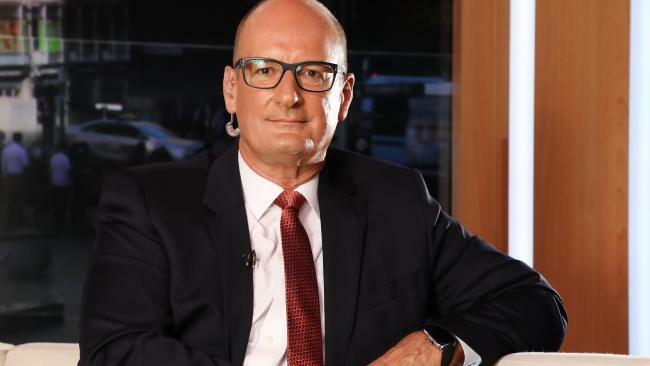 DAVID Koch has called for the Logies voting process to be more "transparent" and says TV Week needs to have a "rethink" about how the awards are run. The Sunrise star is one of many Channel 7 personalities who won't be attending the ceremony on July 1 with the TV network claiming it will cost too much to fly and accommodate all their talent on the Gold Coast. Koch spoke about the network's decision to skip this year's Logies during an interview with FIVEaa's David and Will. "I'm not really boycotting because I haven't been to the last few," Koch told the Adelaide radio duo. "It always clashes with football, which is way more important to me than getting on the grog with a whole bunch of TV people which are unique individuals in their own right." Koch, who is president of the Port Adelaide Football Club, told the radio hosts that Sunrise's ratings mean more to him than winning Logies and said the voting process was confusing. "We've always scratched our head at how the Logies are decided and judged," he said. "The powers that be at Seven have said, well, not worth going this year. As I say, I haven't been for a few years … I'm not missing much I don't think." Koch did actually attend the Logies last year despite claiming he had not been "to the last few". Lisa Wilkinson, Kochie, Sam Armytage and Karl Stefanovic on the Logies red carpet last year. "I think there is a place for the Logies," Koch said on FIVEaa. "But I think they've got to be a bit more transparent in how it's all done and maybe have a rethink of how it goes." 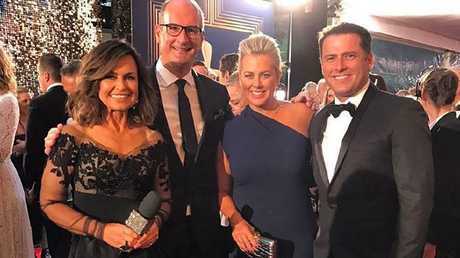 Koch's Channel 9 counterpart, Karl Stefanovic, blasted the Sunrise hosts on TV yesterday for their decision to skip this year's Logies. "I hear our opposition isn't coming this year, they're too good to support the local industry - to support their own network colleagues who are lucky enough to be nominated for their hard work. Plain too good," a furious Stefanovic ranted. "We don't want you there anyway. You're all boring - except for Grant Denyer, I like him." Armytage fired back on Twitter, writing, "I agree @karlstefanovic we are boring. So boring you can't stop talking about us on your show". Sunrise executive producer Michael Pell also criticised Stefanovic's comments on Twitter, writing: "Bit rich @karlstefanovic. First you said you'd boycott the Logies if they moved from Melbourne. Now you're slamming @sunriseon7 for not attending? The exercise is simply too costly for us in 2018. Responsible budget management = supporting local industry." It should be noted that TV Week is offering each of the networks $1000 per person for each star they're bringing to the awards to help with the cost of flights and accommodation. In what's been dubbed the "Celebrity Assistance package", each network will be given a maximum of $75,000. A spokesman from Channel 7 told news.com.au that the network "will have a significant presence on the Gold Coast for the Logie Awards - including every nominee". Home & Away has been nominated for Most Popular Drama Program this year while some of the soap's stars, including Sam Frost and Ray Meagher, have also been nominated in separate categories. My Kitchen Rules and Better Homes & Gardens are among the other shows nominated for awards. There are 20 Logie categories this year and they're split into two sections: There's the 'Most Popular' categories which are voted on by the public, and then there's the 'Most Outstanding' categories which are voted on by a group of Australian TV industry peers. It's actually up to the TV networks themselves to put their shows/talent forward for a potential Logie nomination, as TV Week explained to news.com.au: "It is up to the networks to submit the talent they feel is most deserving of an award," a spokesman for the magazine said. "Each network works to a set number of entries per category and every year we have programs or talent that do not make the final shortlist." A Channel 7 insider told The Daily Telegraph that "the network has contempt for a Nine-biased event" and believes "the awards themselves lack relevance in 2018". News.com.au understands that's why the network puts little effort into submitting their talent/shows for a nomination. If you want to have a say in who will win a Logie this year, live voting for the 'Most Popular' categories which includes the Gold Logie, will re-open on June 25 and will stay open right up until the end of the red-carpet telecast on July 1. 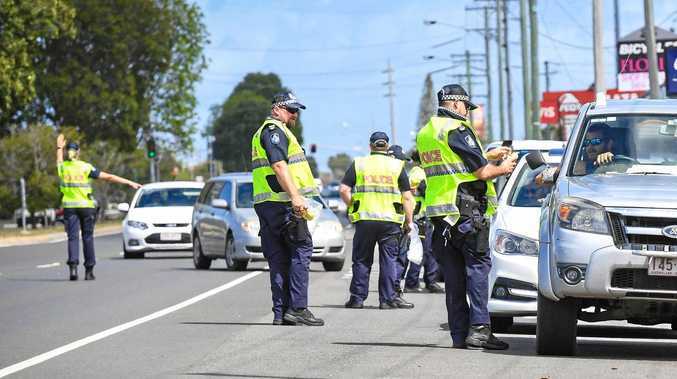 News THE Bundaberg Police are out and about keeping roads safe this Easter Saturday by conducting random breath tests along busy Bundaberg streets.